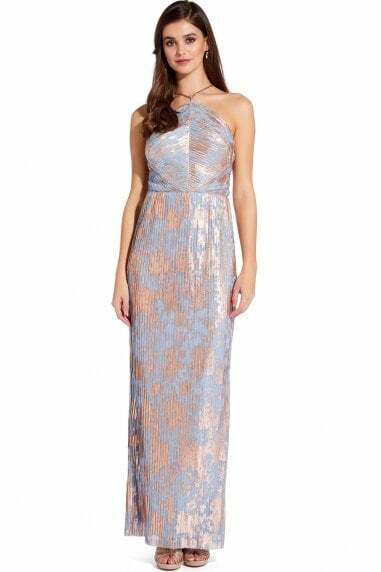 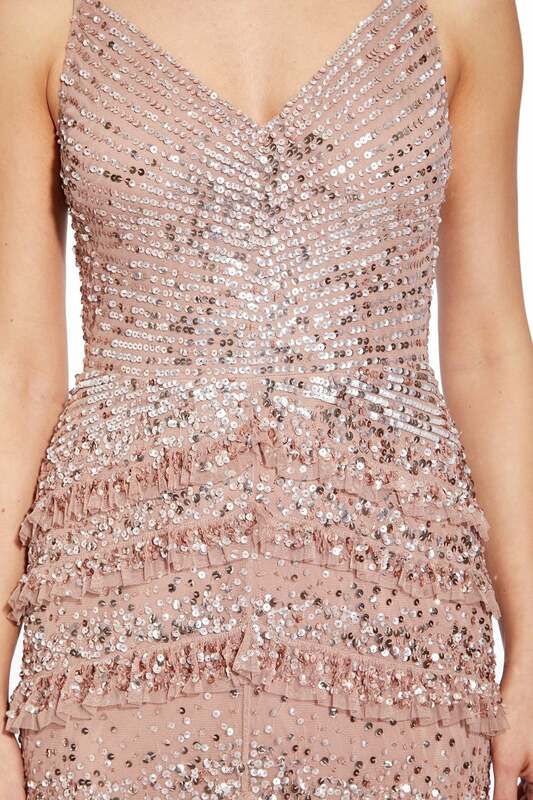 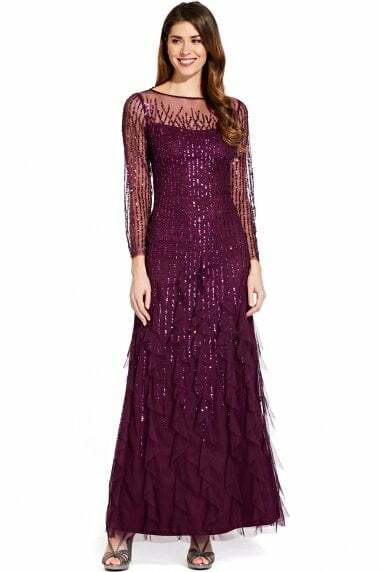 This evening gown from Adrianna Papell offers feminine elegance with sleek sophistication. 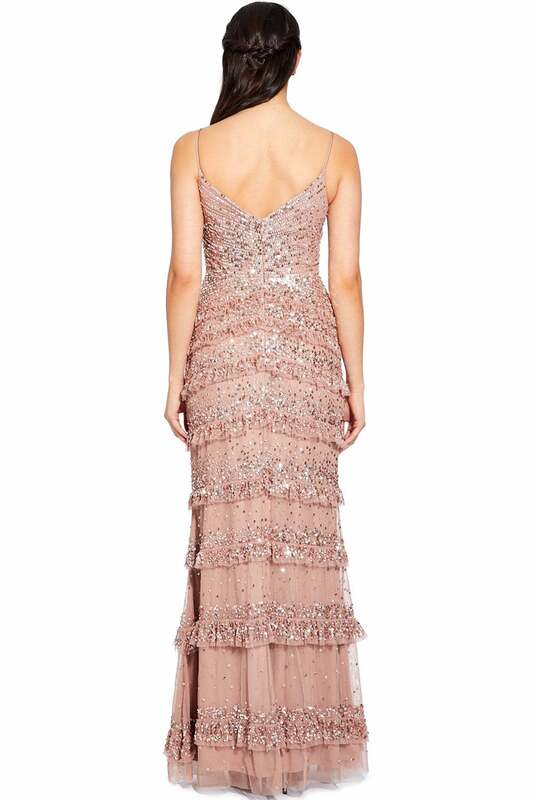 Fully lined in soft matte jersey and featuring delicate spaghetti straps, this dress offers comfort and graceful style in equal measure. 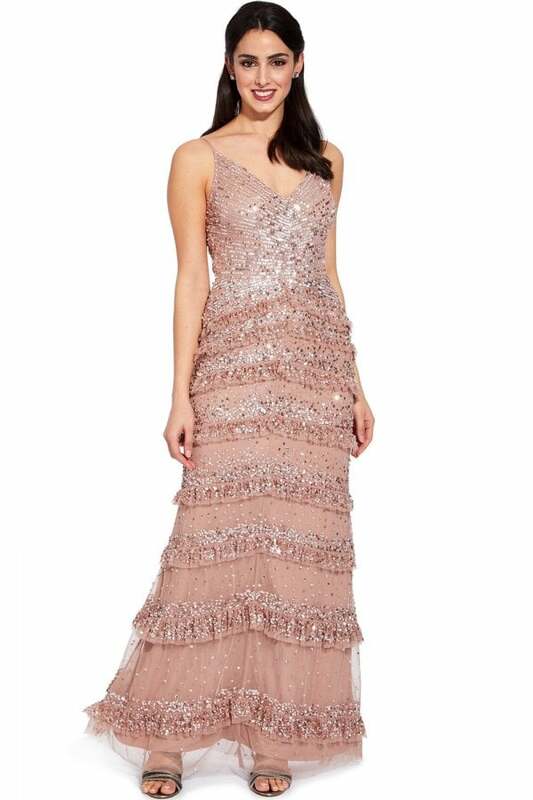 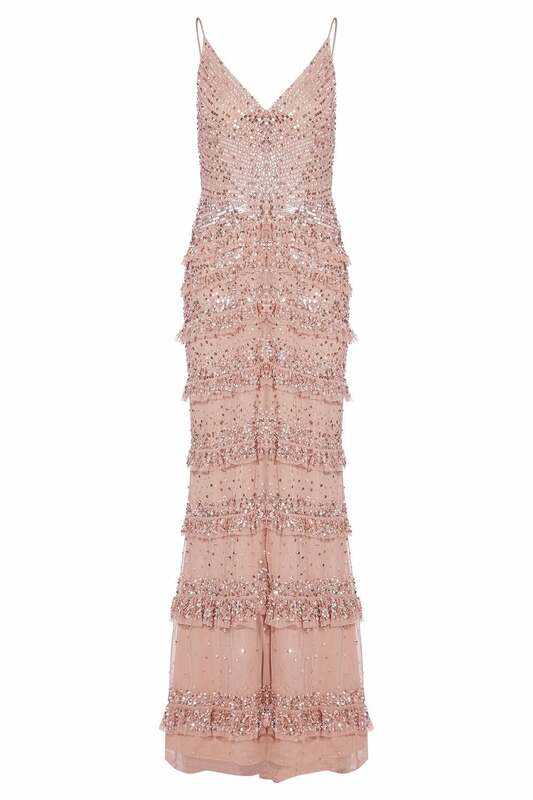 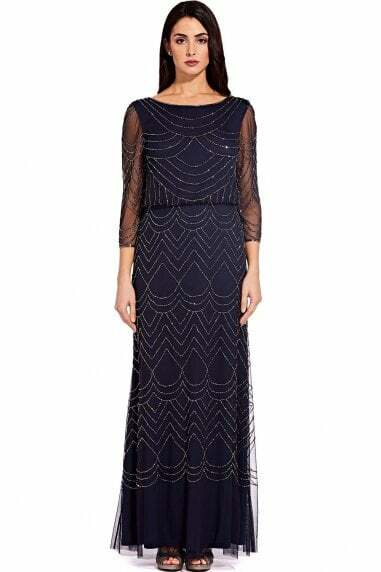 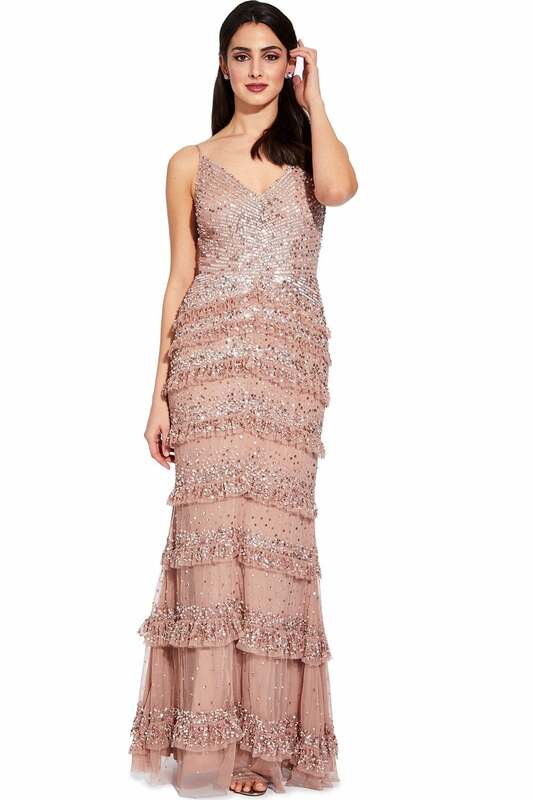 With its sheer tulle overlay embellished with glittering sequins and cut to a column silhouette with ruffle detailing, this dress is a striking option for your occasionwear events.